The University of Central Florida’s chief financial officer stepped down Thursday after an audit revealed the school improperly used $38 million in state funding to construct a campus building. The improper use of the funds is the first major leadership test for Whittaker, who took over Florida’s largest state university in July. And the issue could have ramifications for the entire university-system budget, as it will provide fodder for lawmakers who have been skeptical about the universities’ control of large reserve funds. It drew the immediate ire of Board of Governors members, who oversee the 12-school system. “This is a serious breach of trust. And trust is something that is earned. So we’ve got a journey ahead to earn back that trust,” Syd Kitson, chairman of the board’s budget committee, told Whittaker. “It’s about our trust. And when something like this goes off the tracks, it destroys the trust of the whole system,” said Ned Lautenbach, chairman of the board. He and Kitson said the incident may impact the university-system budget process. Whittaker said he first learned about the problem last month when the Florida Auditor General’s Office alerted the school to its discovery during an audit that the $38 million in construction funding for Colbourn Hall violated state policy. 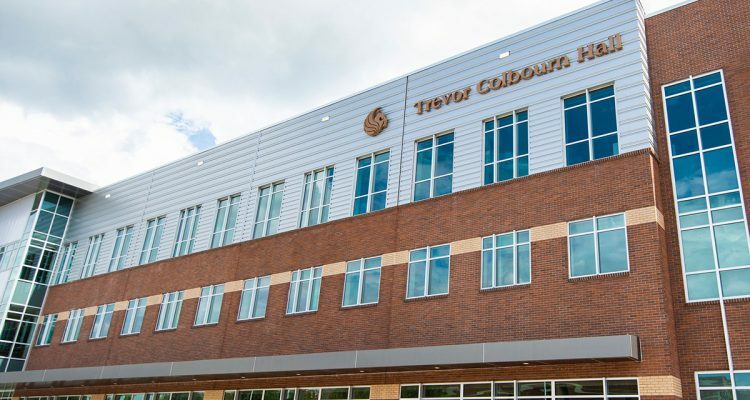 The building project, which dated back to at least 2014, and funding were under the control of William Merck, the UCF chief financial officer and vice president for administration and finance. After the auditor’s notification, Whittaker said Merck took “immediate and full responsibility” for the misuse of the money. He said he accepted Merck’s decision to retire and removed any “fiduciary” oversight from the vice president, although he remained at the school. 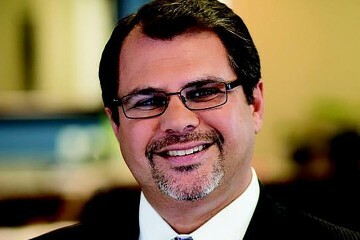 Following Whittaker’s report to the Board of Governors, which was meeting Thursday in Sarasota, the school announced Merck had left his job. He was paid $342,348 a year. After he learned about the problem, Whittaker said he developed a plan to replace the money with appropriate funding the university was holding in various reserves. The replacement funds included $36.7 million from the university’s “auxiliary funds,” including investment earnings, and $950,000 from concession funds. The replenishment plan was approved by UCF’s board of trustees last week in an emergency meeting. UCF has also hired the Atlanta law firm of Bryan Cave Leighton and Paisner to conduct an independent investigation of the incident, looking at issues such as how other projects may have been funded and how many people were aware of how the Colbourn Hall project was being financed. “Most importantly, it’s evident that the controls governing how decisions were made at the institutional level broke down, and clear information about funding sources was not transparently shared,” Whittaker said. Whittaker said the school may take further steps once it receives the law firm’s report. 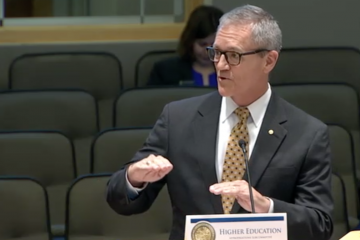 Whittaker began his remarks to the Board of Governors by saying he wanted to address “completely and transparently how UCF has fallen short of expectations,” while outlining the steps the school is taking to prevent future incidents. “The bottom line is this: In my presidency, something like this will never happen,” he said. In addition to questions for Whittaker, the Board of Governors members raised questions about the role of the UCF board of trustees, which has oversight over the president and spending at the university. 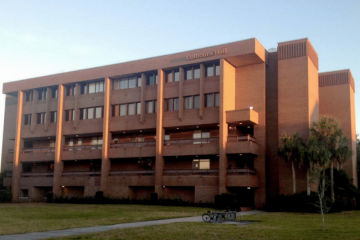 Marcos Marchena, chairman of the UCF board, said he was involved in the financing decisions for Colbourn Hall, which originally involved a plan to renovate the former Colbourn Hall, one of the oldest facilities on campus. 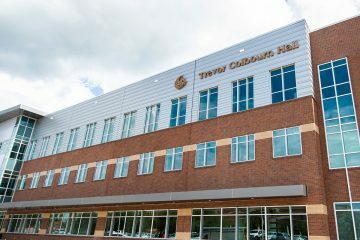 Over several years, the renovation project evolved into a plan to build a separate new building, after officials learned it would be more cost-effective. “Looking back, I wish I had asked that extra question. But we asked a lot of questions. We were misled. And we’re going to take steps, as President Whittaker said, to try to make sure that it doesn’t happen again,” he told the Board of Governors.